F18MC1000 Offer valid while supplies last. Offer expires 11/26/2018. Comfort and Mobility for Mother's Day. 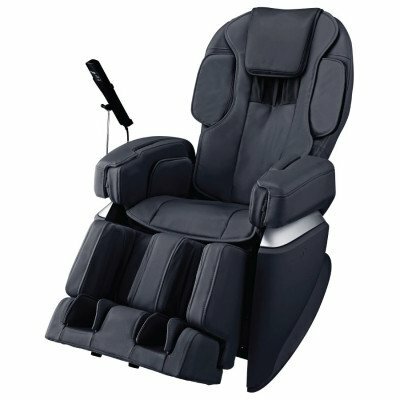 The Osaki Japan Premium 4.0 Massage Chair is manufactured in Japan and focuses on providing an incredible therapeutic massage. The 4D massage roller creates a unique humanistic massage while the 3D technology is capable of providing a deep massage where you need it most. The Japan Premium 4.0 comes with 12 automatic programs, 16 different type of kneading due to the unique roller design, double heating elements, double sensing body scan, and more. 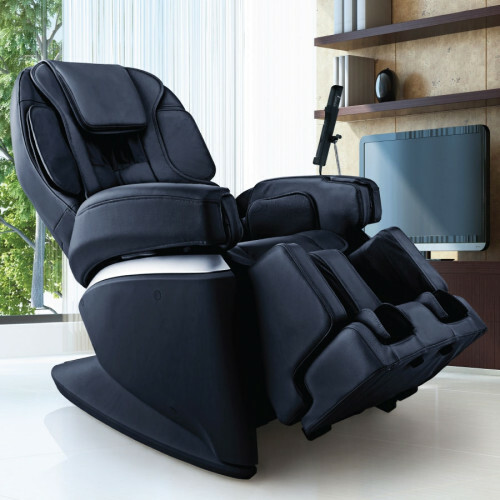 Release your stress with Osaki Japan Premium 4.0 in-depth 3D massage technology. The projection is 4.9 inches which is the industry's latest maximum. Osaki Japan Premium 4.0 is lodaed with double sensing system of "S Shape detection" for spinal line and "Shoulder position" detection for shoulder. This will optimize the "depth" and "points" of massage. Osaki Japan Premium 4.0 is lodaed with double heater system that warm shoulder baldes and sole of feet. Those area of body tends to be more stiff and chilled. Kneading technique is the heart of the massaage chair. Kneading in Osaki Japan Premium 4.0 relies on a new sensor which optimizes the rubbing by further implementing the new dimensional massage. Air massage technique in Osaki Japan Premium 4.0 gives you triple modes - pluse, normal and Hand Kneading. "Flow Adjustment Function" made it possible to have hand kneading mode which provides comfortable consistency of air massage. Osaki Japan Premium 4.0 is equipped with new industrial design for arm massage. The inserting style arm of massage provides you the maximum surface area for arm massage. Relax a wide range of muscle from the sides of the pelvix to the back of knee. Airbags on the back of shoulder rises up from the back providing a fitting massage in a relaxing position for people of various body types and sizes. New calf muscle massage fixes the leg part with the left and right air bags and stimulates the zusanri lines. Simultaneously the air bag at the back will add-up the pressure bit by bit at the back of the calf muscle. Leg massage relaxes from the calf to the foot by repeated pressing and releasing. This NON-TRANSFERRABLE Warranty is provided by Titan Chair LLC. Structural Framework on selected products carries for three (3) years. By making a purchase, you agree that Titan Chair LLC. will not be liable for any items damaged and/or lost while en route to the specified address. Any claims for such loss or damage must be addressed and resolved with the designated carrier. In no case will Titan Chair LLC. be liable for incidental or consequential damages, whether such damages are claimed on account of breach of warranty, breach of contract, negligence or strict/product liability, including without limitation, damage to property (other than the product) or other economic losses. You may obtain service advice, or an RMA number by contacting the Titan Chair LLC Customer Service department toll-free at 1-888-848-2630 ext.3.